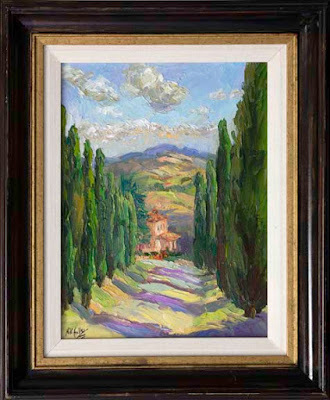 Inspired by our travels to Italy, cypress trees rise out of the vast open landscape signaling that you have arrived in Tuscany! Nestled in a valley with its long arbor-lined driveway, this villa is set against the perfect backdrop for a romantic escape. 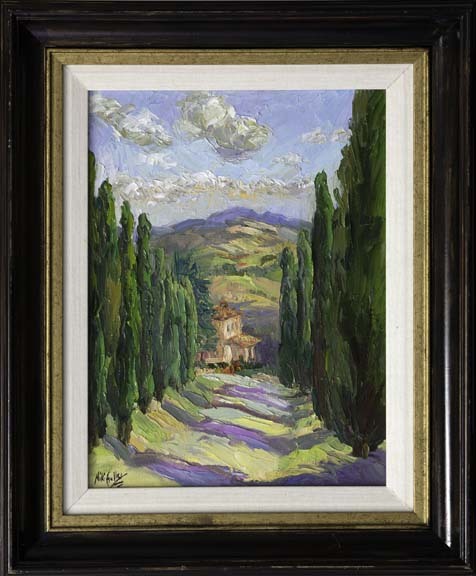 Undulating rows of wheatfields and vineyards draw your eye back through the rolling hills and beautiful billowing clouds drift overhead. Late day sunlight casts dramatic shadows creating a rhythm beckoinging you to journey down the drive, guiding you home.